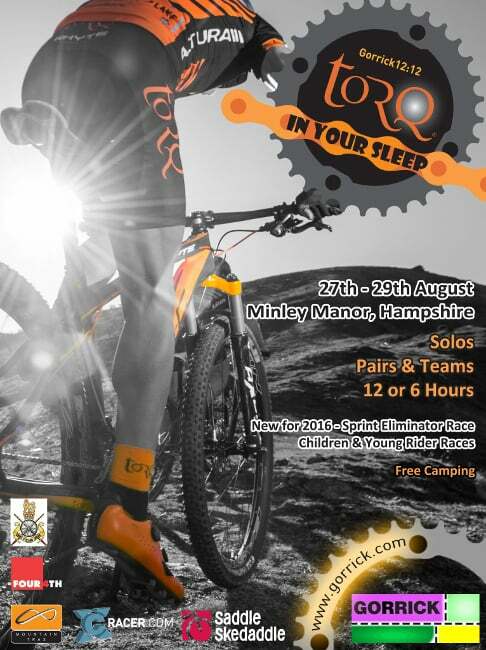 This hugely popular weekend XC endurance event for Solos, Pairs and Teams takes place at Minley Manor, Hants GU17 9UF (this is the final year at this venue before we move on). Just minutes from the M3 junction 4A, the course covers a classic 8-mile figure of 8 circuit of heathland, beech woods, pine forest and open parkland. Riding for the 12-hour event (there is also a 6-hour event) starts on the Sunday 28th August at 12 noon and ends at 12 midnight, so powerful lights suitable for riding off-road at night are required! We are the headline sponsor for this event and there is free camping for those of you who want to chill before or after the event from Noon on Saturday right through to 2pm on the Bank Holiday Monday afternoon. The event offers a full programme of riding including Children and Young Rider’s races, computerised chip timing, In-Vision results screen, a bike mechanic, a Marquee HQ, Trade Arena, quality catering all weekend, toilets, hot showers, DJ and music plus free beer and drinks at the main prize giving. Entries will be open until midnight on 20th August – you can’t enter on the line. If you fancy signing up, click HERE as soon as possible to avoid disappointment.